The Justus Love Corporation loves to give back- it is part of our DNA! Starting November 8, 2016, we are making an additional commitment to a simple system: You buy, we donate! 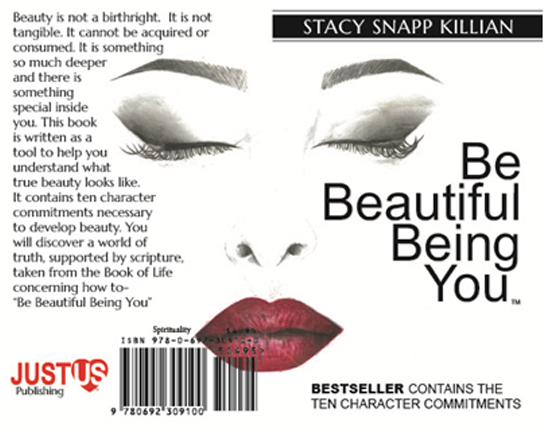 EVERY TIME YOU BUY A COPY OF THE BOOK BE BEAUTIFUL BEING YOU WE DONATE A BOOK TO SOMEONE IN NEED. That's it! No qualifications, no exceptions, no fine print. We want to make doing good as easy as possible for our outrageously passionate community. Fortunately for our hard-working shipping teams, that extra good karma doesn't take up any extra space. Since November 2014, we have been donating Be Beautiful Being You to our partner organizations, and have given away over 5,000 copies of the book, behind the scenes. Now, we are making a new commitment to match sales with donations - book for book of Be Beautiful Being You- giving you, our loyal friends and fans, a chance to participate. The partners we donate to are Restoration House Ministries, a longtime non-profit safe houses for young pregnant mothers with no place to turn, and Warriors Wives Refresh, who offer healing support for all Veteran Wives held annually in South Texas, and Perpetual Help Home, a Christian based organization helping women become productive members of society with transitional support. Let's be clear, though. We're not patting ourselves on the back... this is your good deed. Books can only be donated because you support it through your purchases. So congratulations, and above all, THANK YOU for- BEING BEAUTIFUL BEING YOU!